Interesting at this radar unit is the diametral attachment of 2 antenna systems. Every antenna is meant for another elevation angle. 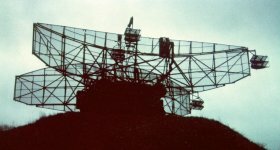 Since two equal radar units always turned a location synchronously, four height ranges were felt therefore (like a Stacked- Beam- Antenna). The Kabina 66 was coupled with several height finders (2 - 4 height finders PRV-13 or PRV-17). The frequency is processed with four impulses, but only two of these are transmitted. 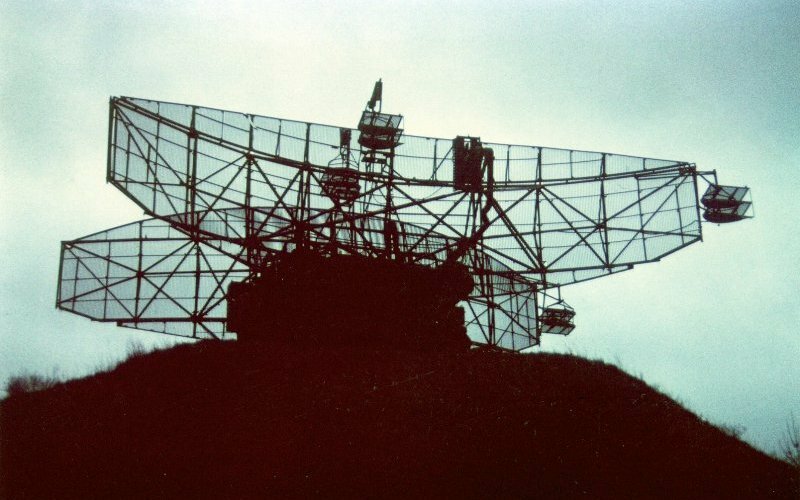 Two radar units work synchronizedly as a couple but also separate operation is possible. The rotary drive is hydraulicly carried out. The power supply (300 kW / 400 Hz) is carried out of convertor or with diesel engines. A transfer needs 19 railroad plate freight cars.